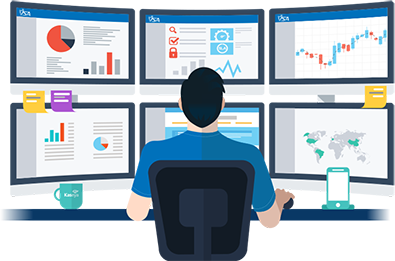 Managed NOC services detect network problems before they can impact business or productivity and proactively addresses either remotely through the NOC or via technicians at client site. Managing and monitoring network operations is resource intensive. We provide comprehensive Managed Network Operations Services to reduce your operating expenses (OpEx), free up internal resources while taking charge of complex network operations. Our network operation center (NOC) solution enables CSPs to run a centrally located operations center to closely administer, supervise, monitor and maintain end-to-end telecommunications networks. Our dedicated NOC facility offers a complete range of offerings in the areas of service assurance and service fulfillment (managed services).